La Biosthetique Epicelan Purifiant shampoo provides a particularly gentle cleansing experience, freeing the scalp of dandruff and normalising the microbial environment. This helps to strengthen the natural defences and thus declares war on annoying dandruff. 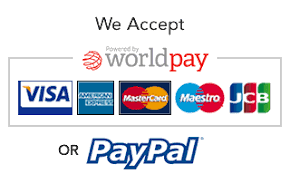 Order in 05 hrs 30 mins 5 secs and select next day delivery at checkout. Two-thirds of all people suffer at least once in their lives from dandruff. This normally manifests as white skin particles which, in the worst case scenario, can look very unattractive and very visible on dark hair or worst – dark clothing. However, dandruff is not just an aesthetic problem. Dandruff is always a sign that the scalp’s functions and microbial flora are impaired and out of balance. High time to take action! 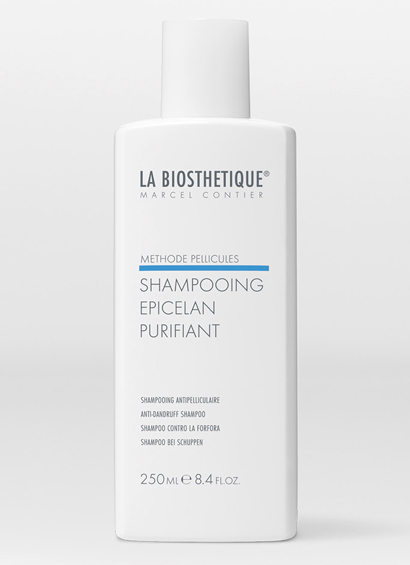 La Biosthetique Epicelan Purifiant shampoo, the anti-dandruff shampoo, gently declares war on dandruff. 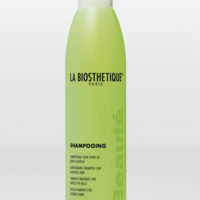 It provides extremely gentle cleansing and frees the scalp of dandruff. The perfectly synergistic active ingredient combination reduces the amount of dandruff-triggering yeast-like fungi, soothes irritations, redness, itchiness and has an antibacterial effect on the scalp. 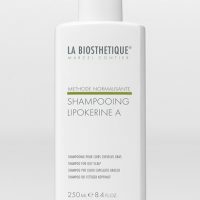 At the same time, the anti-dandruff shampoo strengthens the natural defences and supplies the hair with an extra portion of care. Active ingredients such as panthenol, algae extracts and tea tree oil act in synergy. They develop a calming and balancing effect. In addition, they inhibit the formation of micro organisms and thus actively prevent the formation of new dandruff. 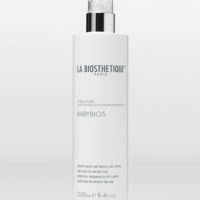 La Biosthetique’s specially created active ingredient complex Complexe Pellicules lastingly improves the scalp environment. The results are amazing. Reduces visible dandruff after the first few applications by up to 50%. Shampooing Epicelan Purifiant provides you with dandruff-free hair AND dandruff-free clothing. Moisten hair and scalp with water. Distribute approx. 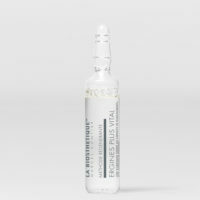 10 ml Shampooing Epicelan Purifiant along the parting of the whole scalp and lightly massage in. Then lather with water and rinse thoroughly.